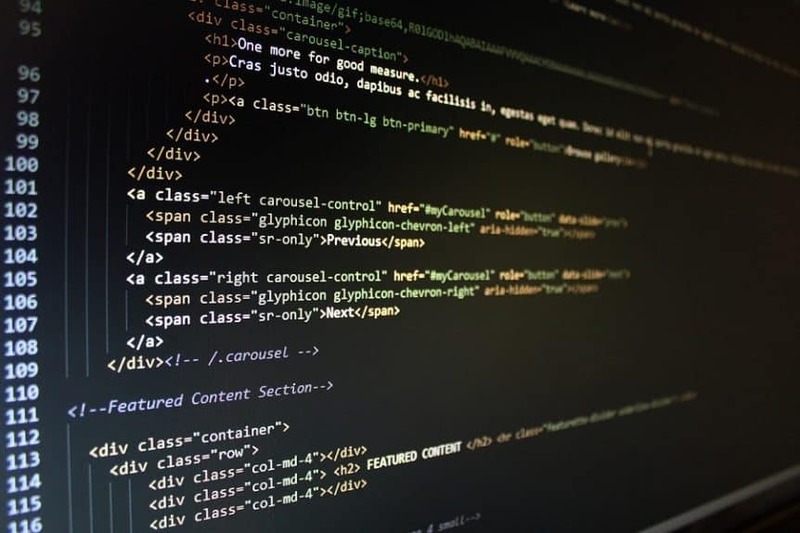 Blog Do You Need To Know html To Do SEO? The more various skills you have the better, but do you need to know everything? No, of course not. Do you need to know html to do SEO? It is fair to say that you really need to understand the basics of html – but, in no great detail. The ability to write some basic css rules is also worthwhile, but you don’t need to be a master of web design. There’s some basic html document formatting attributes and properties you should become familiar with in order to be a great SEO. These heading tags are very similar to the heading levels on a word processor document. A page should have it’s overall subject, a heading 1. Then within that there’d be sub-headings, heading 2. For every number up it’s a sub of the previous heading. This is how we tell search engines how the information on our pages relate to each other and help them to see te hierarchy of information. Google bots want to understand what the focus of the page is and what relevance it has for a given search term. Utilising a proper heading structure will help Google to understand the page better. We covered headings, but for every heading there are paragraphs. This is simple, regular level text – between headings. When writing great content for SEO, try not to go too long without breaking up your text with headings. This is a fairly important one to recognise. Linking to other webpages uses the anchor tag or <a>. If you wrap this around a word it becomes a clickable link, anchored by that word. You can add a title to the link. This is just a plain bit of text (in quotations) and shows up if you hover over the link. It tells users what they’re about to click, generally. The rel tag. This is used to convey the relationship the linked page has to the current page. Useful for search engines. The most common one is to say nofollow which means you don’t want to endorse that webpage. Most commonly because it’s sponsored or in some way not a genuine endorsement. This is useful to Google when is ranking websites. The rel tag is not always used. An ordered list <ol> uses numbers, or letters to keep a list in order. An unorderd list <ul> is merly bullet points. Either way, each point is known as a list item <li>. The text which makes up a list item will be between an opening and the closing tag <li>like this</li>. Then all these list items will be in between <ul> or <ol> opening and closing tags. This is a part of a html document which is not displayed. It’s home to metadata, scripts, stylesheet imports, and tracking codes. So many times you’ll be asked to add snippets to the head of a page. Well, look for the opening and closing <head> tags near the top a html document and paste the snippet there. This can be Google Analytics tracking code, Facebook pixel, Pinterest verification and so on. Where there’s an image there are 2 opportunities to add keywords and relevant phrases. There’s the title (exactly like on a link) and a similar tag, which is designed for screen reader software. The alt (alternative text) tag is a must with images, using it is considered good user experience (UX) practice and is also an opportunity to use keywords. Schema microdata is various tags which are used to enhance your html so that you may give structured data to search engines like Google. Using schema markup helps your web pages to appear with advanced features such as recipes, events, news articles…etc. Using something called JSON-LD will make this very easy. There are plenty of tools available online to help you create a script which is pasted into the head of your website. Google will them be able to add extra info to your search results listing. See schema.org for more and try using this tool to create JSON-LD microdata snippets. Google has provided us with a microdata testing tool too, so be sure to test your website or code on that. If you open a html tag, close the tag. A closing tag has a forward-slash at the start. Write html in lowercase only. Html is in American-English only, e.g. center, not centre.